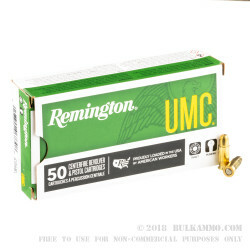 Remington UMC is a budget line of ammunition made specifically for those who want to shoot a lot and want to keep from going broke. This case is 10 boxes of 50 rounds of 50 grain, mild recoiling range ammunition for the .25 Auto firearms. Reliable feeding for all firearms chambered in .25 ACP (Automatic Colt Pistol), the bullet is a metal encased projectile that keeps the costs down in manufacturing and is suitable for all public ranges. 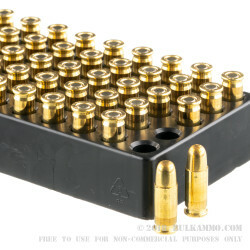 Boxer primed and a brass case, these 50 round boxes come with bulk buyers in mind. Easy to shoot; and an excellent gun to introduce shooters to firearms, the .25 auto is usually had in the form of compact self defense pocket guns. 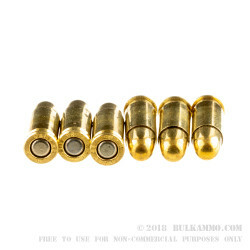 While you could use these cartridges for self defense given their reliability and consistency in performance they are best suited for long range days where plinking at paper or other targets is the plan. 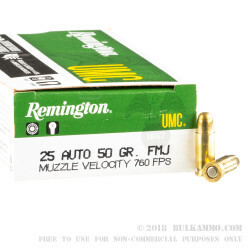 Made in the U.S.A., the Remington UMC ammo line has been producing good quality for value prices for many years. The innovation that Remington continues to make with projectile jacketing, enclosures and alloy makeup helps to drive costs down year after year and keep you shooting in your favorite caliber. This case of MC based projectile loads is no exception.